The emergence of benign and malignant prostate tumors in men today is a very common occurrence. Sometimes, during the past century, the occurrence of prostate cancer was a sporadic phenomenon, most commonly in men older than 70 years, due to age, atrophy of the organ, and hormone extinguishing functions. Today, the situation with malignant prostate tumors changes, and is considered as the second most common tumor in the world. The occurrence of tumors is not only known to older people, but also occurs in men at the age of 50. The characteristic of prostate cancer in men is the initial absence of symptoms and the occurrence of changes inside, at the level of the gland. The most common tumor is detected at the final stage of the examination when the symptoms are expressed. Favorable news regarding the prostate tumor is that it can be cured in 98% of cases, especially if it is discovered in time. Also, men after 50 years of age should perform preventive examinations of urinary bladder and prostate, as well as tumor markers at least once a year. What groups of men are susceptible to the development of prostate tumors? Do natural preparations can help solve the problem of prostate tumors? If a prostate tumor is diagnosed, a certain measure is applied - cytostatic, surgery, radiation, hormonal therapy. In addition to the conventional treatment of prostate tumors, natural healing can also contribute a lot to both prevention and treatment. Zinc is a mineral that is very closely related to the prostate. It is thought that due to the lack of this mineral, prostate cancer is considered. The prostate contains a lot of zinc, so it is normal that the deficit will lead to prostate cell mutation. Lack of zinc can be compensated by supplements or through nutrition - pumpkin seeds, pumpkin seed oil as well as whole pumpkin. Selenium is a mineral that is traceable in organism and is often associated with the presence of vitamin E. The presence of selenium is important both for the normal function of the prostate, and for the treatment of various malformations of the prostate, including the tumor. Selenium has a white harbor, Brazilian walnut, germs, integral cereals, yolk. Vitamin D is one of the best natural fighters against prostate cancer. This vitamin is obtained through the sun, but also through foods such as salmon, tuna, fish oil, zucchini, mushrooms, high fat cheeses are also introduced. Omega fatty acids are unsaturated fatty acids whose main task is to prevent inflammation in the body. In addition to the antioxidant role, omega fatty acids have a significant role in preventing cell mutation and the onset of tumors. 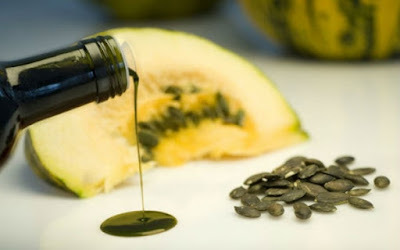 In the food there are - flax seeds, fish, fish oil, nuts, olive oil, avocado, and pumpkin. 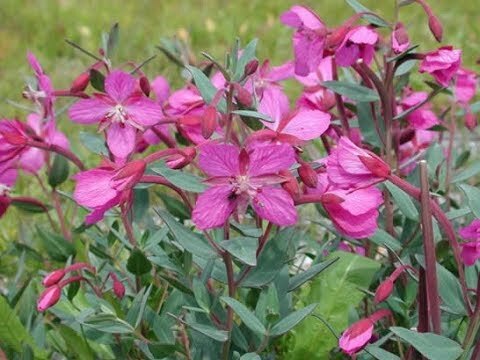 This medicinal herb with small red flowers is full of lecithin and it is a natural remedy to combat all changes to the prostate - hyperplasia, tumor. In addition to being used to suppress the spread of malignant cells, it facilitates the recovery process after surgery. Black cumin is today a highly regarded anti-cancerous natural remedy. Black cumin seeds have the activity on prostate tumor.